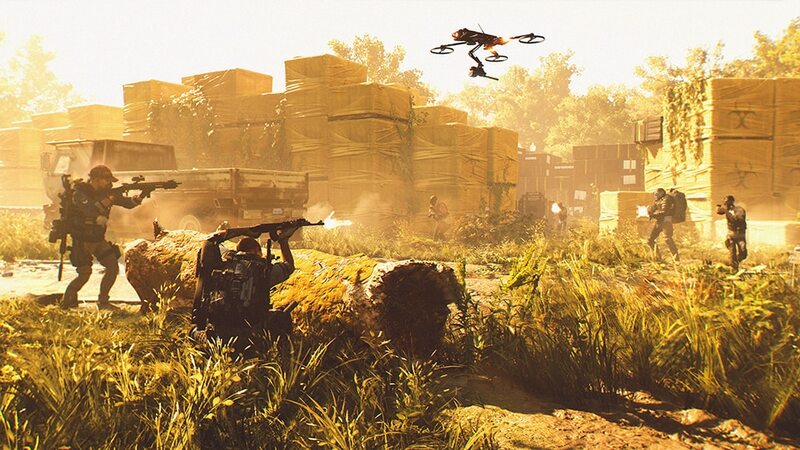 Led by Massive Entertainment in collaboration with seven other studios around the world, Tom Clancy’s The Division 2 is the next evolution in the open-world online shooter RPG genre that the first game helped establish. Set seven months after a deadly virus was released in New York City, Tom Clancy’s The Division 2 will bring players into a fractured and collapsing Washington D.C. The world is on the brink, its people living through the biggest crisis ever faced in human history. As veteran Division agents, players are the last hope against the complete fall of society as enemy factions vie for control of the city. If Washington D.C. is lost, the entire nation falls. That’s the premise you’ll keep in mind while jumping in to the open beta this weekend, running until the 4th of March. Here are some reasons why you shouldn’t miss it. You’ll pay nothing to jump into the open beta. All you need to do is have a Ubisoft account, download Uplay and start The Division 2’s open beta. Additionally, just like the private beta players will also get rewards for doing so. You’ll be able to create an agent and level them to level 8 in this open beta. Doing so and completing the Invaded Mission will unlock three Specializations for your class. It will also reward you with the DC Patriot Weapon Skin and the Capitol Hill Arm Patch. Additionally, completing the Dark Zone intro mission also grants you a cool Supply Crate Backpack Trophy. Photos of these rewards below. For those that did not play the private beta, Division 2 will still be familiar if you’ve played the first game. In this open beta, you’ll have access to 3 main missions, 5 side missions, the Dark Zone and an end game mission. That’s not all, as there’s also an exclusive mission that wasn’t available in the private beta. Moreover, PvP players can dabble in the 4v4 Skirmish Mode via the in-game matchmaking if they want to. Finally, just roaming around the open world will yield content too. Once in a while there will be enemy check points and strongholds that you can liberate. One thing you should be looking forward to is taking Division 2’s end-game builds called Specializations, for a spin. During the Demo, you’ll have access to three of them. They are the Survivalist, Demolitionist and Sharpshooter. Upon reaching level 30, Division Agents will be able to activate one of several specializations. Each one unlocks a unique signature weapon and additional skills that offer new ways to play. Survivalists can control their surroundings using traps and status effects. They are equipped with a precision crossbow as their signature weapon to take their targets down, even in the harshest of environments. Demolitionists are agents of chaos, focusing on disrupting enemy plans and entrenched positions using a grenade launcher as their signature weapon. Sharpshooters are Agents looking at taking their targets out, without them ever realizing what hit them. Sharpshooters can change the tide of a battle from afar using a powerful sniper rifle as their signature weapon. Dark Zone East—available on the right side of D.C., players utilize long sightlines in over-grown governmental parks. You will acquire the DZ East introduction mission from Senait Ezera—the new Dark Zone NPC in the Base of Operations—after completing Jefferson Trade Center. Completing this intro-mission unlocks full access to the Dark Zone. Division 2 has changed multiple things about Dark Zones, like normalization, matchmaking, adding check points and more. Be sure to check out this detailed feature to learn about the all new Dark Zone.